This concert is a part of the City of Shoreline’s Swingin’ Summer Eve! Come on out for community activities along with an awesome performance from Petty Thief, a Tom Petty Tribute band! Activities start at 5:30pm, including face painting, food booths, used book and movie sale, inflatables with Fun Rent, and more! 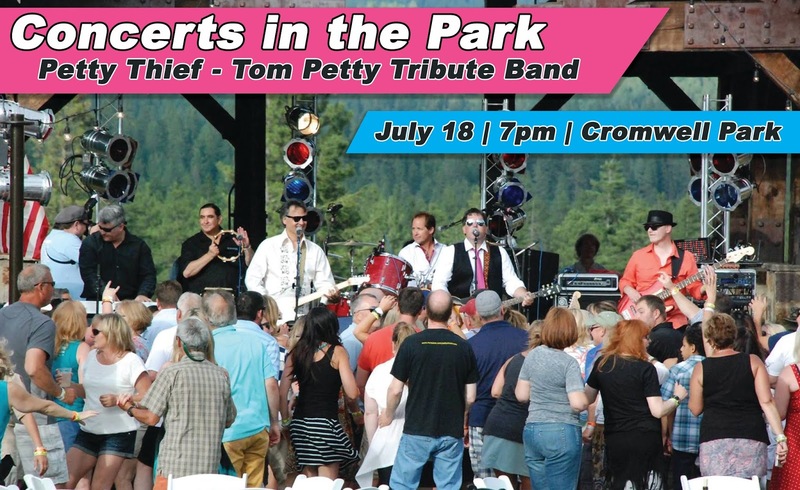 Gather your family and friends, and come enjoy a free performance by Petty Thief, at Cromwell Park on Wednesday, July 18th, 7:00pm. “Petty Thief” was formed the Fall of 2006 when Guitarist/Vocalist Andy Volmer gathered up some local musician friends to put together a band to play a set of Tom Petty and the Heartbreakers hits at a Halloween party at a venue in West Seattle (The Rocksport). What started out as a one night stand has turned into a love affair that lasted for over 10 years now and travels all over the great Pacific Northwest! “Petty Thief” does a musically accurate 60-120 min (depending on the show) set of Tom Petty’s Greatest Hits. No silly wigs, no costumes, no funny beards, just the GREAT music of Tom Petty and the Heartbreakers!! Through the years, some great musicians have come and gone through the band, but right now, the band line up is sounding better than it ever has!! If you love the music of Tom Petty and the Heartbreakers (and let’s be honest, who doesn’t??!!! ), get out there and see Petty Thief live and in action. The Shoreline-Lake Forest Park Arts Council’s Concerts in the Park are always free and held at various community parks throughout Shoreline and Lake Forest Park on Wednesdays in July and August at 6:30pm (unless otherwise noted), rain or shine. Concerts in the Park are supported by the City of Shoreline, City of Lake Forest Park, 4Culture, Aegis Living of Shoreline, and by Arts Council friends and members. For more information and details, visit the Arts Council’s website or call 206-417-4645.